One of the hardest challenges for an individual arriving home after a surgery or a stint in rehab is to maintain continuity of care. Not following directions that our doctors & medical professionals give us for at home care is the primary reason most individuals have a set back and end back in the hospital. Professional caregivers from an agency like Affordable Home Care, can provide the support and guidance for better outcomes and proper home care. What makes the care at Affordable Home Care so unique? We’re unique because we are owned and managed by a registered nurse. Post rehab care and post surgery care is all about following orders from medical professionals for best outcomes. 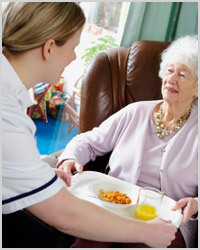 Affordable Home Care is owned and managed by a registered nurse who understands those directives. Our RN leadership is paramount to our caregivers success, and to the continuity of your care from the hospital or rehab facility back home.